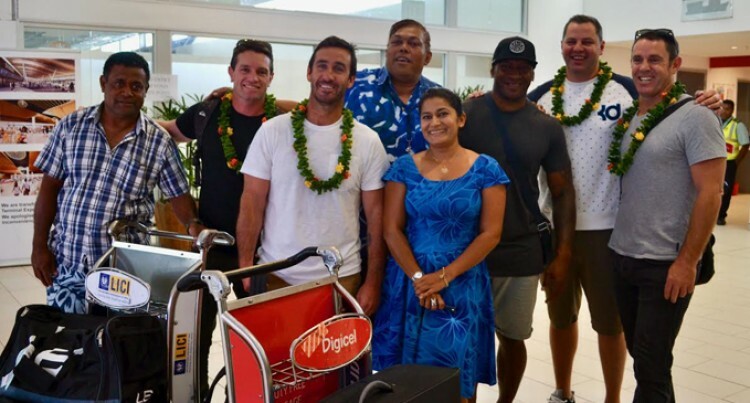 NRL legends Andrew Johns and Brad Fittler arrived into the country yesterday. They were accompanied by Danny Buderus and Joel Greig and they are here to help boost rugby league in the country. They are part of the organising committee working with the Nadi Aviators Rugby League Association to host a one-day 9s tournament on Saturday at Prince Charles Park, Nadi. The tournament has attracted 10 local clubs as they compete for the $5000 prizemoney. They are also here to scout for local talents and identify potential players for international scholarships and contracts. One of the recipients of their initiative is former Penrith Panthers winger Eto Nabuli. They were received by the Nadi Aviators executive committee members of Vela Tawake, Joe Gray, Patricia Mallam, and Wise Kativerata. Mallam said having international players visiting aspiring league players in Fiji is a huge boost for the sport. “A lot of local players have passion and skill to compete nationally,” she said. “This visit is going to assist the players in improving their game by having access to knowledge.